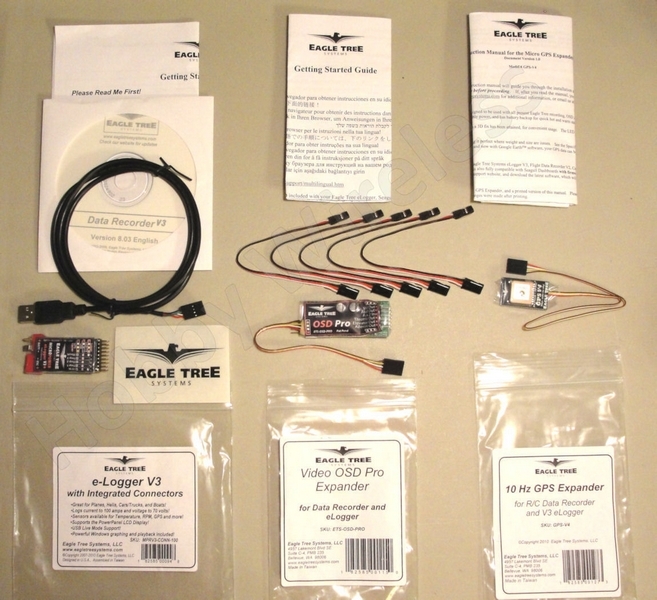 We’re pleased to introduce the Eagle Tree OSD Pro.The OSD Pro displays all the key information about your model’s status, and has many advanced features such as voice alerts, high resolution raster graphics, a new airplane icon “RADAR” synthetic map, “Return to Home,” Artificial Horizon display, and waypoints within visual range. The OSD Pro is a powerful, modular, fully configurable Video/Audio On-Screen Display (OSD) device, providing graphics, voice announcements, alarms, acoustic variometer with total energy compensation, Home Arrow, Return to Home, Failsafe, "Radar" is the airplane icon on the screen, waypoints, a flight simulator for testing, and many other features. The information displayed can be as simple or advanced as you like, depending on how you configure the display, and on which optional Eagle Tree sensor you connect. All parameters available with our eLogger V4 and Data Recorders + optional sensors will be supported for display on the OSD Pro. When you connect the FMA Direct™ CPD-4™ X/Y horizon sensor (either with or without the FMA™ stabilization Computer), an artifical horizon line can be displayed on the video screen. Click here for information on how to connect the FMA Direct sensor to the OSD Pro system. Click here to see all the improvements and new features for the V4. 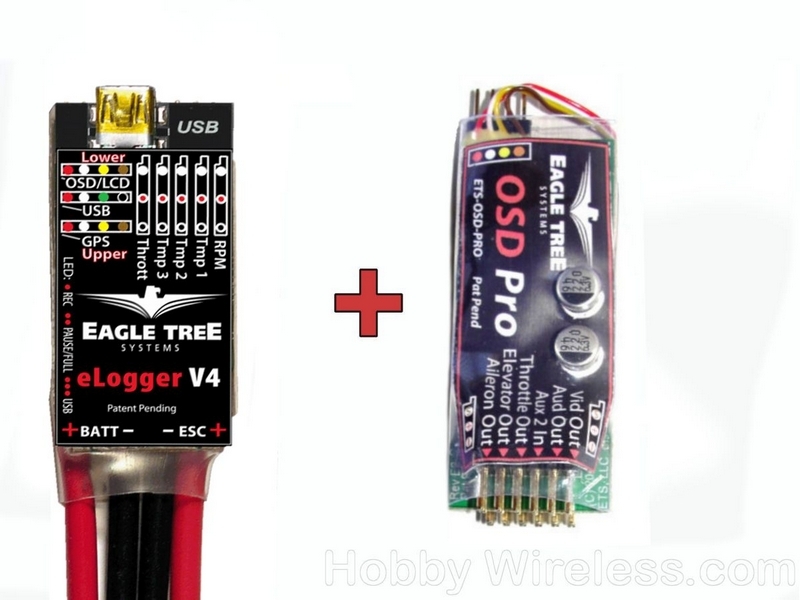 Click here to see a diagram on how to connect the OSD Pro.